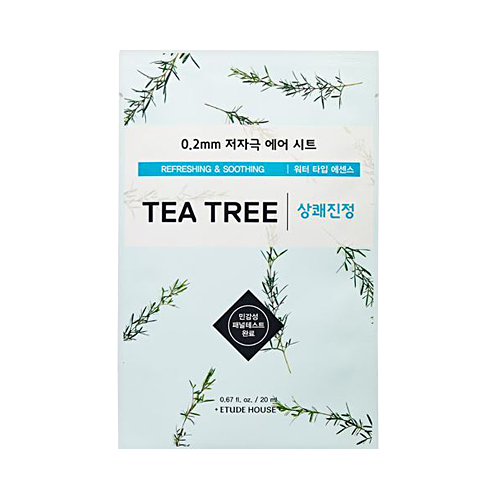 ETUDE HOUSE 0.2 Therapy Air Mask Tea Tree uses Tea Tree Extract to provide fresh moisture and clear you skin of blemishes. Suited for all skin types. Well suited for oily, acne prone skin. This sheet mask is soaked in a light essence that is absorbed quickly. Tea Tree Extract helps clear your skin of blemishes and leaves it feeling refreshed. Etude House Therapy Air Mask Tea Tree is a thin mask that is also soothing and reduces excess sebum. Tea Tree 2,500ppm – an antibacterial ingredient that reduces swelling and soothes inflammations, draws out excess oil, effectively calms acne and disinfects inside your pores. 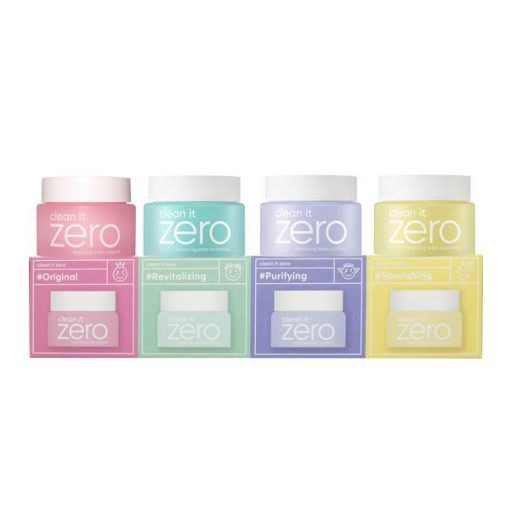 More ETUDE HOUSE 0.2 Therapy Air Masks are available here. Water, Glycereth-26, Dipropylene Glycol, Propanediol, Alcohol, Hydroxyethyl Urea, Butylene Glycol, Glycerin, 1,2-Hexanediol, Melaleuca Alternifolia (Tea Tree) Leaf Extract (2500ppm), Sodium Carbomer, Allantoin, Hydroxyethylcellulose, Glycyrrhiza Glabra (Licorice) Root Extract, Coptis Japonica Root Extract, Zingiber Officinale (Ginger) Root Extract, Camellia Sinensis Leaf Extract, Dehydroacetic Acid, Sodium Hyaluronate, Disodium EDTA, Dipotassium Glycyrrhizate, Polyglyceryl-10 Laurate, Polyglyceryl-10 Myristate, Caprylic/Capric Triglyceride, Boswellia Serrata Gum, Beta-Glucan, Hydrogenated Lecithin, Lavandula Angustifolia (Lavender) Oil, Eucalyptus Globulus Leaf Oil, Citrus Nobilis (Mandarin Orange) Oil, Citrus Limon (Lemon) Fruit Extract, Pinus Palustris Oil, Phytosteryl/Octyldodecyl Lauroyl Glutamate, Ceramide NP.